An R-Value is a measure of the resistance to heat transfer of a given material. R-Values allow consumers to compare the insulating properties of products used in residential and commercial buildings. R-Values are usually stated without any units, such as R-13 or R-24. The units are actually hr-ft²-°F/Btu, which measures how long it takes a unit of heat to move through a specified area of the substance. What Do Different R-Values Mean? A larger R-Value number means it takes longer for the same amount of heat to move through a substance, so something labeled R-24 is a better insulator than something labeled R-11. R-Values measure only the material's resistance to heat transfer, so the quality of the seal against the insulation's surroundings is critical. 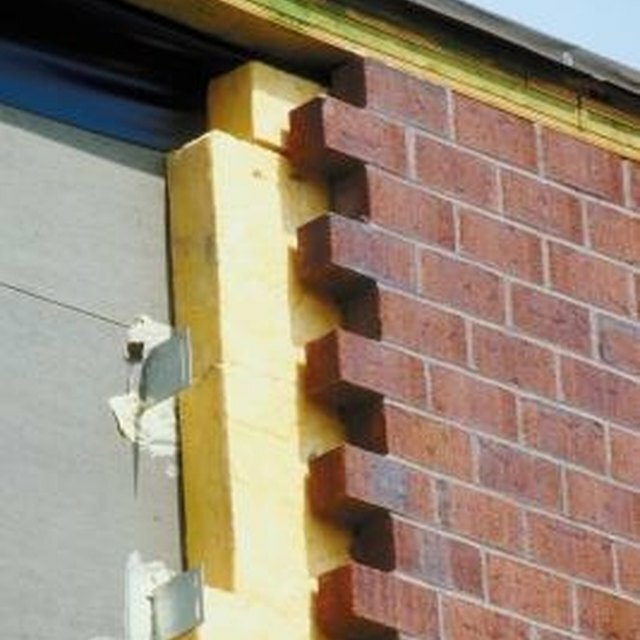 The R-Value of insulation depends on the material and its thickness. For instance, a "fiberglass" roll or batt insulation has an average R-Value of 325 per inch. Expanded polystyrene slabs used for insulation have an R-Value of 40 per inch. Other building materials are poor insulators: an 8-inch concrete block's R-Value is 104, and a single-pane window has an R-Value of 113. What Is an IP6 Waterproof Rating?